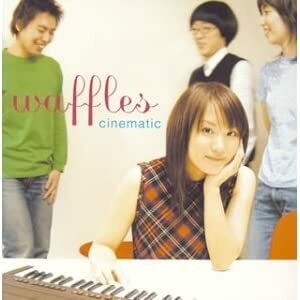 Waffles is an indie group from Japan who's style is very similar to groups like advantage lucy, but imagine something MUCH cuter and subdued at times, playful and even a little nostalgic. The kind of music that will cling to your heart and maybe make you even tear a bit, although those will likely be very happy tears. This is the kind of moody album that you can put on during any season and you're sure to find something special and new about it. I absolutely adore this album. Put it on and frolic to your heart's content.